An American family of four can use 400 gallons of water per day, and about 30 percent of that is devoted to outdoor uses. More than half of that outdoor water is used for watering lawns and gardens. Nationwide, landscape irrigation is estimated to account for almost one-third of all residential water use, totaling more than 7 billion gallons per day. 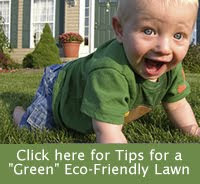 Cut down on the amount of lawn in your landscape. Turfgrass is a water hog. Water only when plants begin to droop. Then, water before dawn. Monitor irrigation systems. Are you watering the street or driveway? Use a rain sensors, soaker hoses and drip irrigation. Butterfly Gardening lecture - October 24th.